Advance Man - What Does It Mean? What is the definition of the term "advance man" when it comes to the world of politics? 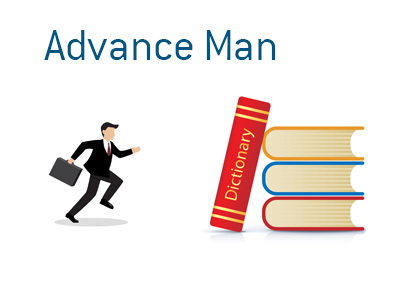 What is an "advance man"? When a candidate for political office is on the campaign trail, their campaign appearances must be well-organized and well-executed in order to have maximum effect. Will there be big crowds out for the candidate's appearance? Will the local media be informed of the candidate's visit? Will the candidate be aware of the issues that matter to the local residents? In order to make the campaign stops go as smoothly as possible, campaigns will employ an "advance man" whose job will be to make sure that these aforementioned items, as well as many others, are taken care of. After all, the last thing that a campaign wants is to speak in front of empty crowds - those images alone can be the undoing of even the most successful of campaigns, which is why it's imperative to have a good "advance man" on your team.